You may purchase the conference streaming content in the following formats: Flash Drive or online archive (6 months). 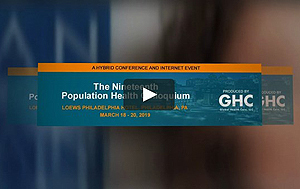 PHILADELPHIA PA USA -- HEALTHCARE UPDATE NEWS SERVICE -- MARCH 26, 2019: The Nineteenth Population Health Colloquium, www.PopulationHealthColloquium.com, was held March 18 - 20, 2019 at the Loews Philadelphia Hotel, in Philadelphia, PA. 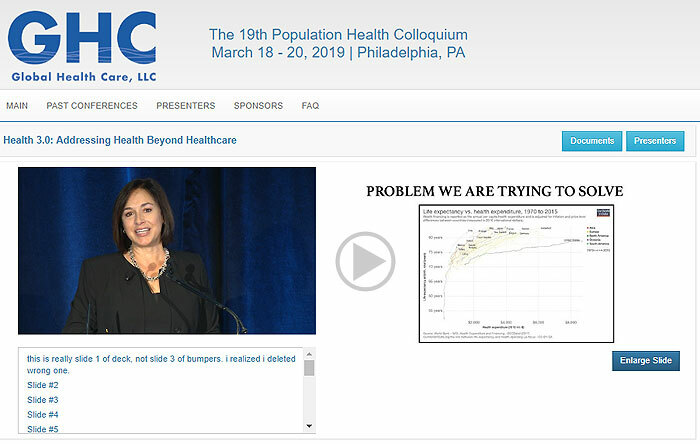 The conference video content is now available for purchase. The Colloquium is pleased to offer full and partial tuition scholarships to qualifying representatives of local, state and federal government, consumer advocate organizations, safety net providers, academics, students, and health services research organizations.